This year at Stitches West, I enrolled in two classes taught by Wilhelmine Peers. The first class I attended was on Thursday, February 23. Designing Using a Photographer’s Frame set my creative juices flowing. Wilma instructed us to pull pages from a magazine that caught our attention without over-thinking the image. The stack of magazine pages were then prioritized according to our favorites. Thus, began the building of a collage with color, patterns and shapes. After the collage was finished, a photographer’s frame was moved across the page in order to detect possible design translations from our selected magazine images. 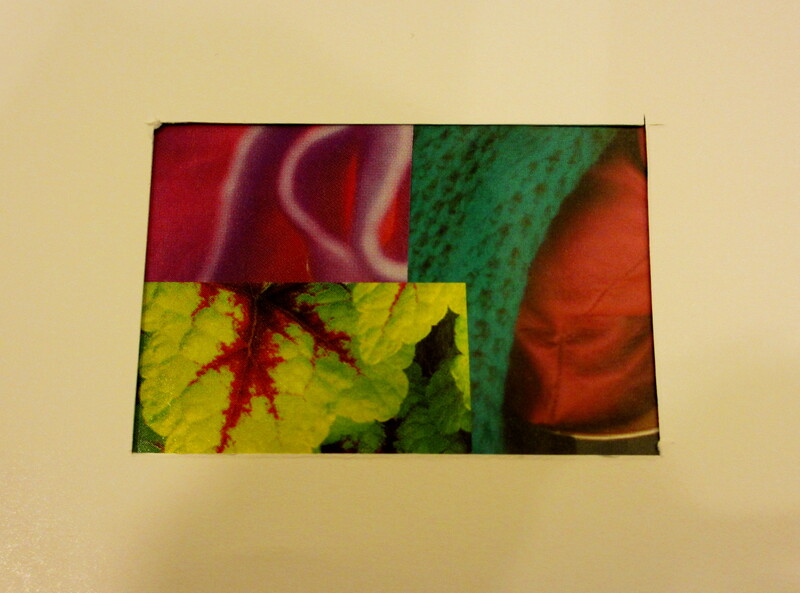 Below are pictures of various design possibilities from my collage.